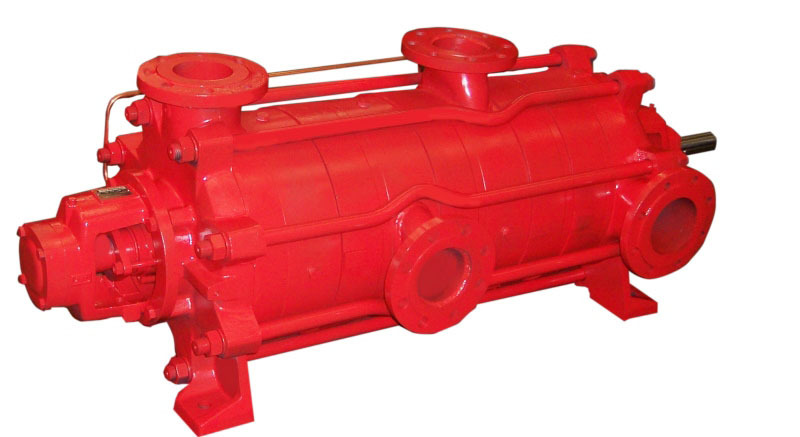 Multistage pumps in multioutlet design can be fitted with a random number of discharge connections. 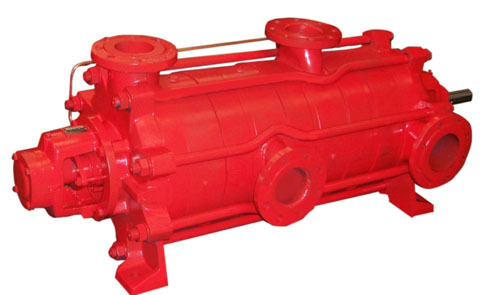 The pumps are predominantly used in fire fighting applications to serve different pressure zones with different pressure levels. The"PEW" MSMO pumps give considerable cost and space benefits for fire protection systems in high-rise buildings. Electric motor or diesel engine driven multi stage multi outlet pumps can be supplied to meet the technical bulletins for automatic hydrant and sprinkler protection of high-rise and multiple storey buildings. Why Multi Stage Multi Outlet ? Construction of high-rise buildings is on the increase in major cities. The heights of the buildings are rising constantly as ground space becomes even more precious. If only one riser were to be installed in a high rise building then the lower sprinkler ranges would have to find a way to overcome the high pressure needed to satisfy the demands of the highest level at which sprinklers are installed. High pressures are required from the pump to supply the top levels of a high-rise building to overcome the high static distance to the highest sprinkler ranges. This means that the pressures to the lower ranges will be higher than the system components and sprinkler head can handle. Conventional installation procedures cannot be applied and the contractor has the option of fitting pressure reducing valves or zoning the area to eliminate high pressures on the lower ranges. As pressure reducing valves are not recommended for this purpose under many fire authority rules and the sprinkler rules specifically state that they should only be used for this application when absolutely necessary, zoning becomes the correct method of installation, with certain rules also insisting on a maximum zone height of 45m. The way of meeting these requirements is by utilising one single multi-stage, multi-outlet pump which can supply the fire protection needs of an entire building complex. This pump has outlets at various stages of the pump, which will pump up to various levels of the building at the lower and higher pressures required through the separate risers. More building space to utilise for car park, etc,. If a MSMO pump is used to supply water to 3 different zones in a high rise tower then during a fire which is unlikely to originate in all 3 zones simultaneously, water under pressure at full flow is automatically diverted in to the zone where the fire has occurred.